Available in PVC or Polyurethane. 1.625" diameter tie-off with .25" eyelet available for light duty support point on containments. 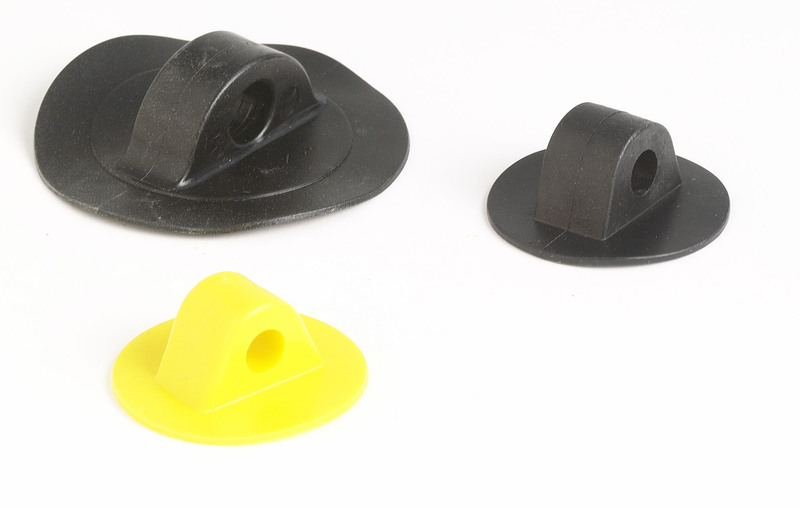 2.5" diameter tie-off with .5" eyelet available for heavy duty support point on containments. If you need a glovebag or containment; please browse our Glovebags Section or contact a product specialist for any questions or support!